"Our living and loving God, astonish us anew with the riches of your Word. Astonish me and give me ears to hear all that you desire. Amen." As I’ve prayed for astonishment (see opening prayer above), I’ve found some poignant and profound prayers from the ancients that I am beginning to incorporate into my own prayers for illumination as I read and ponder the life giving words of Scripture. I hope that you find them as helpful as I have. May your Spirit, O Christ, lead me in the right way, keeping me safe from all forces of evil and destruction. And, free from all malice, may I search diligently in your Holy Word to discover with the eyes of my mind your commandments. Finally, give me the strength of will to put those commandments into practice through all the days of my life. Amen. Lord, as I read the psalms let me hear you singing. As I read your words, let me hear you speaking. As I reflect on each page, let me see your image. And as I seek to put your precepts into practice, let my heart be filled with joy. Amen. Lord, inspire us to read your Scriptures and meditate upon them day and night. We beg you to give us real understanding of what we need, that we in turn may put its precepts into practice. Yet we know that understanding and good intentions are worthless, unless rooted in your graceful love. So we ask that the words of Scriptures may also be not just signs on a page, but channels of grace into our hearts. Amen. O Creator of the universe, who has set the stars in the heavens and causes the sun to rise and set, shed the light of your wisdom into the darkness of my mind. Fill my thoughts with the loving knowledge of you, that I may bring your light to others. Just as you can make even babies speak your truth, instruct my tongue and guide my pen to convey the wonderful glory of the Gospel. Make my intellect sharp, my memory clear, and my words eloquent, so that I may faithfully interpret the mysteries which you have revealed. Amen. May God grant you His grace and peace this day! All of these prayers may be found in HarperCollins Book of Prayers: A Treasury of Prayers Through the Ages (Edison, N.J.: Castle Books, 1997). What is the difference between a person who may, might, would, should, could...and a person who MUST? In these videos, I will explore these questions through the lens of Matthew 16:21–28. Are you ready to embrace all the life that God has for you? Barram, Michael. “The Bible, mission, and social location: Toward a missional hermeneutic.” Interpretation 61 (2007): 42-58. Bauckham, Richard. Bible and Mission: Christian Witness in a Postmodern World Canon and Mission (Christian Mission & Modern Culture) . Baker, 2004. Bosch, David J. “Towards a Hermeneutic for ‘Biblical Studies and Mission’” Mission Studies 3.2 (1986): 65-79. Brownson, James V. Speaking the Truth in Love: New Testament Resources for a Missional Hermeneutic (Christian Mission & Modern Culture) T&T Clark, 1998. Brownson, James V. “A Response at SBL to Hunsberger’s ‘Proposals…’ Essay.” The Gospel and Our Culture Network. http://www.gocn.org/resources/articles/response-sbl-hunsbergers-proposals-essay. Jan. 28, 2009. Goheen, Michael. A Light to the Nations: The Missional Church and the Biblical Story Baker, 2011. Guder, Darrell C. Missional Church: A Vision for the Sending of the Church in North America (The Gospel and Our Culture Series) Eerdmans, 1998. Guder, Darrell C. “Missional Pastors in Maintenance Churches” Catalyst: Contemporary Evangelical Perspectives for United Methodist Seminarians 31.3 (2005): 4. Hunsberger, George R. “Proposals for a Missional Hermeneutic: Mapping the Conversation” Gospel and Our Culture Network Newsletter eseries 2 . Jan. 28, 2009. Russell, Brian D. Invitation: A Ten-Week Bible Study. OneBook. Seedbed, 2015. Russell, Brian D. “Psalms 1-2 as anIntroduction to Reading the Psalms Missionally” Encounters Mission Ezine 33 (June 2010). Russell, Brian D. “What is a Missional Hermeneutic?” Catalyst: Contemporary Evangelical Perspectives for United Methodist Seminarians . April 1, 2010. Wright, Christopher J.H. The Mission of God: Unlocking the Bible's Grand Narrative . Downer’s Grove: InterVarsity Press, 2006. Wright, Christopher J.H. The Mission of God's People: A Biblical Theology of the Church's Mission (Biblical Theology for Life) Zondervan, 2010. Good teaching requires a quiet confidence coupled with authentic humility. The best teachers see themselves as learners and guides. Don’t worry about impressing the class with how much you know. Great Bible teaching is not about showing others how brilliant you are, but rather consists of helping others to seek, discover, and live out the deep truths found in the Scriptures for themselves. One of my favorite prayers as I study the Scriptures in preparation for teaching or even in my personal devotions is this: “Lord, astonish me anew with the truths of your Word. Amen.” I like the word astonish because when I’ve been astonished I know that I’ve felt the weight of the Scriptures and am now ready to share my experience of God in the text with others. 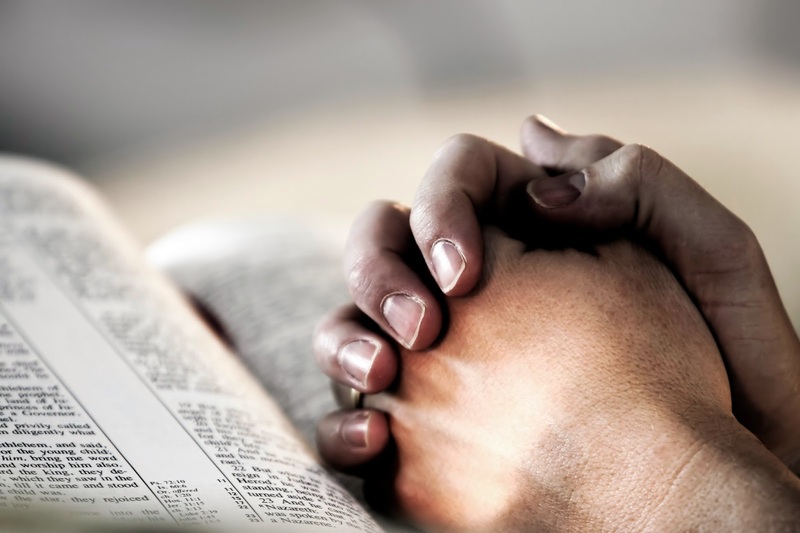 When we pray for astonishment rather than mastery of the material, we learn a key truth about teaching: It is less important that we master the text and more important that the text masters us. Don’t try to impress others with big words or theological terms. Of course it is ok to talk about justification or sanctification, but if you do, don’t assume that everyone in the class understands these words. John Wesley, the founder of the Methodist movement, was a learned scholar in the Oxford tradition but he lived by the mantra, “Plain words for plain folks.” Wesley was committed to sharing the deepest truths in language that others could understand. This should be our goal and stance as well. Teach for the glory of God. Think of the time that you are committing in preparation and teaching as a holy sacrifice to the Lord for the sake of his mission in the world. Remember that there is always more that could be said. Class time is precious and passes quickly. It is the rare class when everything works out precisely as you planned it. This is the irony of teaching and learning. It is an ongoing and never ending process. Don’t let this frustrate you. Be grateful for the privilege of being able to facilitate for others the learning and grappling with the Scriptures. Always save time for reflection on how a text desires to shape us. Ultimately, learning about the Scripture must lead to transformation and change. We don’t study Scripture to master ancient history or accumulate answers to Bible trivia. We study the text as a means to becoming more godly in our lives so that God can use us to extend his love, grace, and mercy to others. Once you have worked through the details in the text push the class to discuss tangible ways in which the message can be lived out in our daily lives. It is vital to think of your role as a facilitator for transformation. Have fun. At the end of the day, what can be more satisfying and enjoyable than reflecting on God’s Word with a group of fellow pilgrims seeking to live lives pleasing to God? Don’t take yourself to seriously. Be enthusiastic and interested in the material. Such an attitude will prove infectious to the class and set the tone for a meaningful hour of study together. 1) Mission is central to Scripture. As Christopher Wright suggests there is less a biblical basis for mission than there is a missional basis for the Bible. For a primer on missional hermeneutics, here is a link to my essay "What is a Missional Hermeneutic?" published by Catalyst. 2) Christendom practices approached “Christian” education principally as learning what to believe and how to understand reality. It is vital to learn to think Christianly. But in today’s climate where the very claims of Christianity are not widely accepted or even understood, any approach to Scripture that merely increases the knowledge of insiders is in danger of making the Gospel itself more and more irrelevant to the rest of the world. A missional reading demands a reading of the text from within a context of mission in which Christ followers are engaged not merely with increasing their own grasp of their own faith but are actively engaged with the World in order to make disciples of Jesus. Christian education therefore needs to have as its goal the making of disciples in the biblical sense of the world: disciples who follow Jesus in the mission of making more disciples. 3) A missional reading or hermeneutic pushes the reader beyond a self-referential reading. 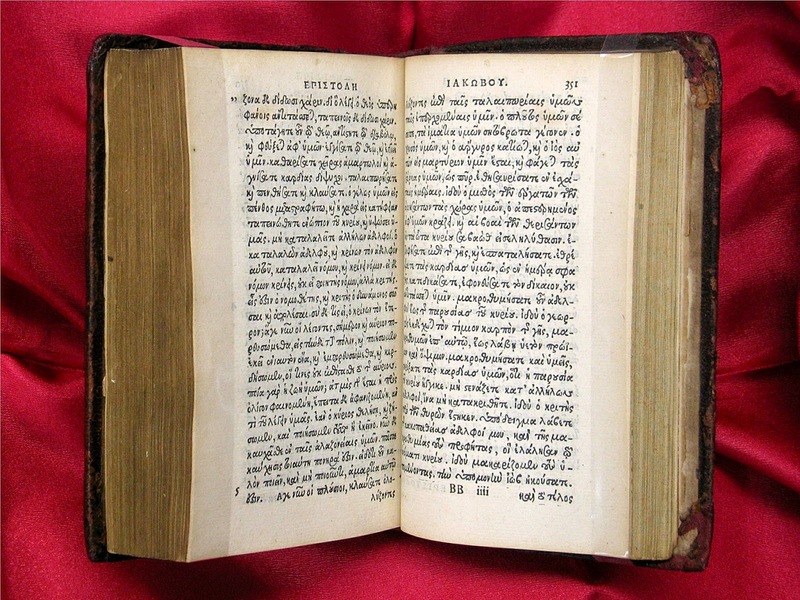 If we constantly ask questions such as “How does this text shape my own understanding of what God is doing in the world?”or “What sort of persons do I need to become in order to live out the story in the text?”or “What type of community does this text assume and how does our community of faith measure up?”, we begin to ask questions that push us outside of a self-centered reading to connect our transformation with God’s mission. Our reading becomes revolutionary and catalytic for recapturing the sense of movement that characterized the earliest churches. 4) A missional reading pushes both the reader and his/her community of faith to seek constant alignment with God’s work in the world. Conversion is the goal of biblical interpretation. 5) A missional reading forces the reader to read Scripture from the frontier rather than in a privileged position of power. Just as the original recipients of Scripture found themselves a minority in the World (and often a disenfranchised and marginalized minority), communities that deploy a missional reading truly grapple with how to live in the world in a way that serves as a vital and compelling witness to the world. 6) A missional reading drives individuals and communities to action. Like respiration in which we breathe in and breathe out, we must read Scripture and take missional action. 7) A missional reading connects holiness (character), community, and mission. If God’s vision for the community of faith is to become a missional community that reflects God’s character to/in/for the world, then a missional reading is crucial because it understands essence of God’s people around three interlocking themes: mission, holiness, and community. Why does this matter? Because instead of isolating these, we see them in a vital symbiosis. We can talk about a missional holiness, a missional community, a holy community, etc. A community is not biblical unless it is missional and holy. God’s people are not missional apart from holy character and a community. God’s people are not holy unless they are missional and in community. Thus, a missional reading is ultimately not a fragmented way of reading Scripture but an integrated one which holds together the deepest themes of Scripture and allows them their voices to be heard again clearly. Looking for a missional curriculum resource? My book Invitation presents the biblical narrative from Creation to New Creation through a missional framework. It will instruct its readers in the biblical story and inculcate a missional DNA that includes a strong community and holiness emphasis in support of God's mission. Check out the first chapter and video lesson here. The Old and New Testaments are the earliest and the only comprehensive sources for understanding the life, death, and resurrection of Jesus. If we are interested in following Jesus, we read his story by reading the Gospels. The Scriptures are able to account for both the grandeur and tragedy of human beings. God created people in God’s own image (Genesis 1:26-31). God created women and men as the climax of God’s work of creation. God crafted men and women to participate in God’s mission as stewards of creation, to reflect God’s character to the rest of Creation, and to live in authentic community with God and with one another. God designed people to live as God’s hands, feet, and mouthpieces for the world. NIV Psalm 8:3 When I consider your heavens, the work of your fingers, the moon and the stars, which you have set in place, 4 what is man that you are mindful of him, the son of man that you care for him? 5 You made him a little lower than the heavenly beings and crowned him with glory and honor. 6 You made him ruler over the works of your hands; you put everything under his feet: 7 all flocks and herds, and the beasts of the field, 8 the birds of the air, and the fish of the sea, all that swim the paths of the seas. 9 O LORD, our Lord, how majestic is your name in all the earth! The Scriptures trace this tragic fact back to the first humans who turned away from God (Genesis 3:1-9). Sin then infected and infested every subsequent person (Gen 3-11 cf Romans 5:12ff). From Genesis 3 onwards, God acts to deliver humanity from its own alienation and lostness. Thus, the Scriptures can account for the “good” that humans are capable of doing, and they account for the flaws and a capacity for evil that is in all people. They point to our need for the salvation that only God our creator can provide. The Bible tells us a story that begins with the Creation of World (Gen 1-2) and ends with the description of God’s recreation of a New Heaven and a New Earth (Rev 21). In other words, the biblical narrative moves from Creation to New Creation. In between, the Scriptures tell of humanity’s turning away from God. Humanity’s turning from God fractured humanity’s relationship with God and fractured Creation itself. The Scriptures then narrate God’s mission to bring reconciliation, hope, and restoration to a lost humanity and to a fractured creation. This mission starts with the calling of Abram to serve as the beginning of a missional community through whom God will bless all people (Gen 12:3). The pinnacle of God’s saving activities was the birth, life, death, and resurrection of Jesus Christ. The New Testament witnesses to what God the Father has done through God the Son. After the Father raised Jesus the Son from the dead, God pours out the Holy Spirit onto all who believed the good news about Jesus in order to redeem, restore, and unleash a New Humanity to serve in God’s mission. The story of the Bible invites its readers to find themselves in the story as God writes the future. Beyond the reality of the Bible’s compelling story, the Scriptures themselves are generative because they profoundly and poignantly serve as God’s Word to humanity. NIV 2 Timothy 3:16 All Scripture is God-breathed and is useful for teaching, rebuking, correcting and training in 17 so that the man of God may be thoroughly equipped for every good work. This above passage is often used as proof-text for the authority of Scripture. What is often missed in the functionality of Scripture that Paul has in mind. The Word of God is powerful to bring about God’s purposes. The Scriptures open up and describe the salvation that God seeks to bring into our lives. They provide us with a guide to transformation and a road map for living the life God created for us to live. The Scriptures describe and empower communities of faith to embody a God-centered, Christ-formed ethos. The power of a small group Bible study is a testimony to this feature. When we study the Scriptures together, we are shaped corporately into a community of God’s dreams. Studying the Bible is not merely about learning information or reading old books. Through the Holy Spirit, readers of the Scriptures encounter God. God, I want to know you. If you are real, reveal yourself to me as I read the Scriptures. Astonish me through the riches of your Word. Amen. Ever feel restless? That feeling that is part desperation and part frustration. It is a deep source of human longing that is part of the human experience. How do you deal with feelings of restlessness? How does restlessness fit into our understanding of humanity and God? “You are great, O Lord, and greatly to be praised. Great is your power, and your wisdom is infinite. And man would praise you; man, who is but a small particle of your creation; yes, man, though he carries with him his mortality, the evidence of his sin, the evidence that you resist the proud; yet man, but a particle of your creation would praise you. NIV Psalm 77:1 For the director of music. For Jeduthun. Of Asaph. A psalm. I cried out to God for help; I cried out to God to hear me. 2 When I was in distress, I sought the Lord; at night I stretched out untiring hands and my soul refused to be comforted. 3 I remembered you, O God, and I groaned; I mused, and my spirit grew faint. Selah 4 You kept my eyes from closing; I was too troubled to speak. 5 I thought about the former days, the years of long ago; 6 I remembered my songs in the night. My heart mused and my spirit inquired: 7 "Will the Lord reject forever? Will he never show his favor again? 8 Has his unfailing love vanished forever? Has his promise failed for all time? 9 Has God forgotten to be merciful? Has he in anger withheld his compassion?" Selah 10 Then I thought, "To this I will appeal: the years of the right hand of the Most High." 11 I will remember the deeds of the LORD; yes, I will remember your miracles of long ago. 12 I will meditate on all your works and consider all your mighty deeds. 13 Your ways, O God, are holy. What god is so great as our God? 14 You are the God who performs miracles; you display your power among the peoples. 15 With your mighty arm you redeemed your people, the descendants of Jacob and Joseph. Selah 16 The waters saw you, O God, the waters saw you and writhed; the very depths were convulsed. 17 The clouds poured down water, the skies resounded with thunder; your arrows flashed back and forth. 18 Your thunder was heard in the whirlwind, your lightning lit up the world; the earth trembled and quaked. 19 Your path led through the sea, your way through the mighty waters, though your footprints were not seen. 20 You led your people like a flock by the hand of Moses and Aaron. The pray-er who penned this psalm was in dire straits. In the initial ten verses, the psalmist prays relentlessly, even desperately but it appears in vain. The person is plagued by a sense of abandonment and deep disappointment in God. Ever been there? But profoundly this desperation propels the pray-er toward God rather than away from Him. What if restlessness was really God stirring within us to invite us into a deeper relationship with him? Restless hearts move forward through remembrance. It matters profoundly in what story you cast yourself. The psalmist finds himself or herself rooted in the Scriptures. This psalm betrays an acquaintance with other texts from the Old Testament. In what story are we cast? In what bigger narrative do you find yourself? Illustration: A ship/vessel with a GPS navigation system. It rarely is technically on course due to waves, but over the course of a voyage, it brings the ship to its destination. The journey is not a straight line between A and B, but it is a journey home. How do we root ourselves in this story? Scripture and Worship. In the conclusion of the psalm, the pray-er recognized that even at the Red Sea, the footprints of God were not visible, but Moses and Aaron were. I think that the mention of these two figures points to the living vitality and centrality of Scripture (Moses represents Israel’s Torah) and Worship (Aaron represents the cultic/temple side of Israel). Restless hearts find rest only in following Jesus. The power of this meal is that it engages us with the reality of Jesus Christ as the only source of satisfaction and resolution of our restlessness. It is also an invitation to move forward. Because the Jesus who went to the Cross, is the Risen Jesus who now leads us into the world on mission. May your sense of restlessness today be the propellant to a deeper engagement with the God who loved you so much that He sent Jesus to offer you life. NRS Luke 24:13 Now on that same day two of them were going to a village called Emmaus, about seven miles from Jerusalem, 14 and talking with each other about all these things that had happened. 15 While they were talking and discussing, Jesus himself came near and went with them, 16 but their eyes were kept from recognizing him. 17 And he said to them, “What are you discussing with each other while you walk along?” They stood still, looking sad. 18 Then one of them, whose name was Cleopas, answered him, “Are you the only stranger in Jerusalem who does not know the things that have taken place there in these days?” 19 He asked them, “What things?” They replied, “The things about Jesus of Nazareth, who was a prophet mighty in deed and word before God and all the people, 20 and how our chief priests and leaders handed him over to be condemned to death and crucified him. 21 But we had hoped that he was the one to redeem Israel. Yes, and besides all this, it is now the third day since these things took place. 22 Moreover, some women of our group astounded us. They were at the tomb early this morning, 23 and when they did not find his body there, they came back and told us that they had indeed seen a vision of angels who said that he was alive. 24 Some of those who were with us went to the tomb and found it just as the women had said; but they did not see him.” 25 Then he said to them, “Oh, how foolish you are, and how slow of heart to believe all that the prophets have declared! 26 Was it not necessary that the Messiah should suffer these things and then enter into his glory?” 27 Then beginning with Moses and all the prophets, he interpreted to them the things about himself in all the scriptures. 28 As they came near the village to which they were going, he walked ahead as if he were going on. 29 But they urged him strongly, saying, “Stay with us, because it is almost evening and the day is now nearly over.” So he went in to stay with them. 30 When he was at the table with them, he took bread, blessed and broke it, and gave it to them. 31 Then their eyes were opened, and they recognized him; and he vanished from their sight. 32 They said to each other, “Were not our hearts burning within us while he was talking to us on the road, while he was opening the scriptures to us?” 33 That same hour they got up and returned to Jerusalem; and they found the eleven and their companions gathered together. 34 They were saying, “The Lord has risen indeed, and he has appeared to Simon!” 35 Then they told what had happened on the road, and how he had been made known to them in the breaking of the bread. This narrative is filled with mystery and intrigue. Only one of the two persons is named (Cleopas, v. 18), but neither of them is among the Eleven traditional disciples. They are joined by the Risen Jesus, but are unable to recognize him during the journey. They end up in a conversation about Jesus’ death and the women’s strange (24:1-12) report from earlier in the day. “Jesus” then begins to instruct them from the Scriptures about the necessity of the Messiah to suffer. On the road to Emmaus, Jesus taught them from Israel’s Scriptures beginning with Moses everything taught about Messiah. 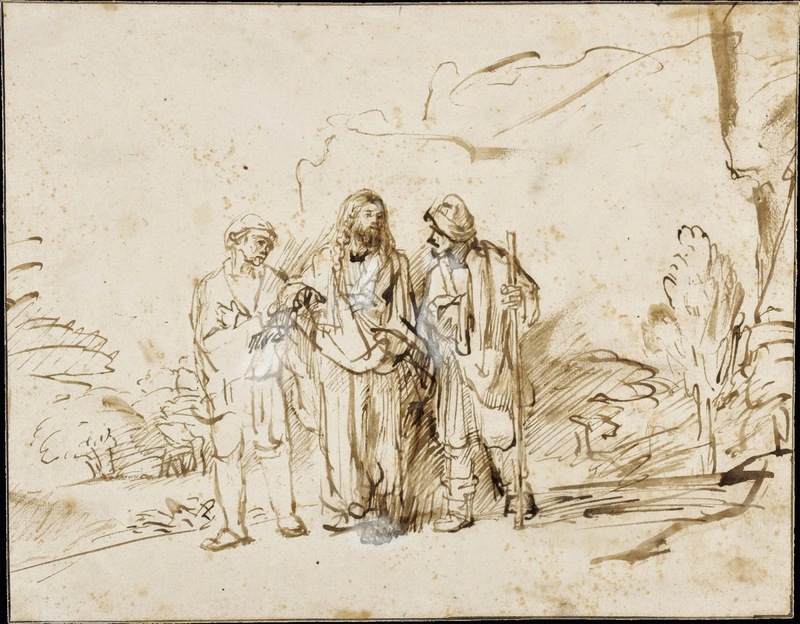 Upon reaching Emmaus, they persuade “Jesus” to stay with them for the evening. They do not recognize Jesus’ true identity until Jesus “took bread, gave thanks, broke it, and began to give it to them” (24:30). At this moment, they realize that they have been journeying with Jesus. Jesus disappears and the two men hurry back to Jerusalem in order to declare to the Eleven that Jesus is truly risen. 1) The Scriptures must be understood in light of Jesus. Jesus opens the Scriptures to Cleopas and his friend. The Scriptures of Israel (the Old Testament) point to the necessity of a suffering Messiah. The life, death, and resurrection of Jesus the Messiah is the climax of God’s work in calling Israel as a community of God’s people. Individuals now need to find themselves in this narrative and live their lives in light of it. 2) The power, mystery, and possibility of encountering Jesus in the breaking of bread is a theme. In v. 30, Jesus “took bread, gave thanks, broke it, and began to give it to them.”  This was no mere meal. These words are an explicit allusion to the Last Supper. Compare the language of 24:30 with that of 22:19: "And he took bread, gave thanks and broke it, and gave it to them saying, 'This is my body given for you; do this in remembrance of me.’” This is a mysterious passage. Why were Cleopas and his friend unable to recognize Jesus? Regardless, it is only after Jesus reenacts the Last Supper meal that they see him for who he truly is. I think that there is a word here for us-particularly for those among us who take a low view of the Eucharist. Let’s invite people to the Lord’s Table so that they may encounter the Risen Jesus through the meal. 3) Cleopas and his friend are transformed from forlorn former followers to empowered, passionate proclaimers. Just as the women in vv. 1-12, Cleopas and his friend are transformed into Jesus’ witnesses. There is no commission given, but they immediately return to Jerusalem to announce to the Eleven what they had seen and heard. Encountering the Risen Jesus is all that is required for a call to a missional life. Have you encountered the Risen Jesus? How has the resurrection of Jesus affected your life? What would it look like for you to live as an empowered, passionate proclaimmer and witness? For more, pick up and read my latest book, (re)Aligning with God: Reading Scripture for Church and World . Now available! NRS Luke 24:1 But on the first day of the week, at early dawn, they came to the tomb, taking the spices that they had prepared. 2 They found the stone rolled away from the tomb, 3 but when they went in, they did not find the body. 4 While they were perplexed about this, suddenly two men in dazzling clothes stood beside them. 5 The women were terrified and bowed their faces to the ground, but the men said to them, “Why do you look for the living among the dead? He is not here, but has risen. 6 Remember how he told you, while he was still in Galilee, 7 that the Son of Man must be handed over to sinners, and be crucified, and on the third day rise again.” 8 Then they remembered his words, 9 and returning from the tomb, they told all this to the eleven and to all the rest. 10 Now it was Mary Magdalene, Joanna, Mary the mother of James, and the other women with them who told this to the apostles. 11 But these words seemed to them an idle tale, and they did not believe them. 12 But Peter got up and ran to the tomb; stooping and looking in, he saw the linen cloths by themselves; then he went home, amazed at what had happened. 1) It was a bodily resurrection. The tomb was empty. This is affirmed across the NT. To deny a bodily resurrection in favor of a spiritual resurrection is to move outside of the biblical evidence. This part of Luke’s narrative makes little sense if Jesus’ body was present at the tomb. 2) Suffering, death, and resurrection was God's plan all along. In verses 5-8, there is the beginning of a pattern (24:5-8, 25-26, 44-49) in which Jesus’ earlier words are recounted (e.g., 9:22). What happened to Jesus should not have been a surprise. It was God’s plan to which Jesus willingly submitted for Jesus to suffer and die and be raised on the third day. It becomes a central element of early Christian teaching to move toward a Christocentric reading strategy for Scripture. In other words, God’s actions through Jesus becomes the key to understanding the overall movement and message of the Scriptures. A crucial learning for us today is that this reading is not only messianic but also missional. The good news about Jesus must be shared with the nations. 3) Resurrection creates the Church as a missional movement. The women in this story shift from mourners taking spices to the tomb to proclaimers of the Resurrection Story. This group of women (only the two Mary’s and Joanna are named) become the initial witnesses and servants of the Gospel of Jesus Christ. 4) The proclamation of the Resurrection is received with skepticism (24:11). This is worth pondering. Sometimes we think that the ancients were gullible and believed anything. Resurrection is an anti-intuitive and supraexperiential claim. Dead men and women are not raised. Bodies do not disappear from tombs except at the hands of robbers. Yet because of the witness of these women Peter responds by running to the tomb to check it out for himself (24:12). How do you respond to the testimony of these women? Check out my latest book, (re)Aligning with God: Reading Scripture for Church and World . The Cross and Mission: Am I All in?